There is an amazing diversity (pie-versity?) found in pies, with sweet, creamy pies and hearty, savory ones, and even cocktails modeled after classic pies. On January 23, National Pie Day, choose your favorite, whether it’s a classic apple pie or chicken pot pie, or something out of the ordinary, like buttermilk custard or dark chocolate chiffon. Yes, all these and more can be found in this list of our 10 favorite gluten-free pies that will make National Pie Day a dream come true. If you don’t want to make a pie from scratch, remember that grocery store shelves and online retailers offer a selection of pre-made pies, pie crusts and crust mixes that will make your gluten-free baking easy as pie. Click here for our list of awesome gluten-free pre-made pies, crusts and mixes. 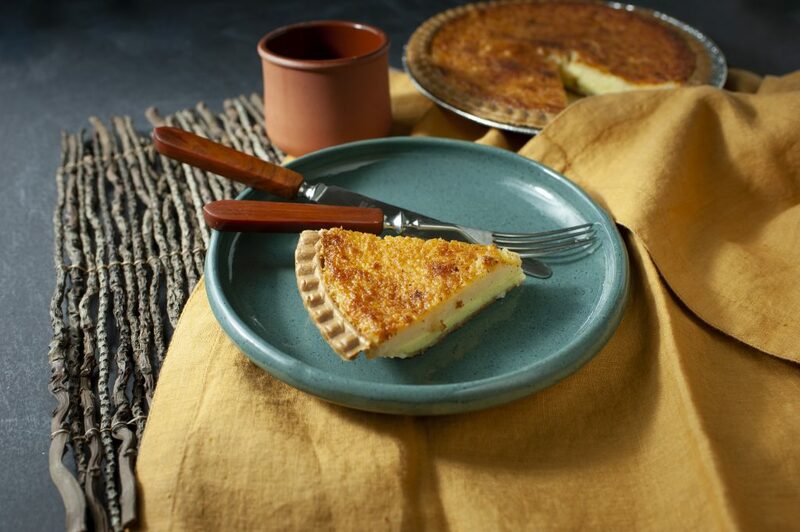 This Southern Buttermilk Custard Pie takes a few modern shortcuts while celebrating traditional Southern flavors. It brings a delightful combination of sweet and savory to the table and won’t take long to whip up. Click here for the recipe.